The Catholic Jedi Academy: "...A Decision of Great Courage and Humility"
Those are the words of Archbishop George Stack of Cardiff regarding Pope Benedict XVI's surprise announcement that he will be stepping down as Supreme Pontiff. And I couldn't agree more. (And I note from Father Reynolds' post below, that he feels the same way, too). What a holy and humble man we have had as our pope these past several years. While I am still a little shocked and definitely saddened at the loss of such a holy father, I am also so grateful for the gift of his years of sacrificial service and gentle guidance. That he will be living in a monastery, devoted to a life of prayer, gives me such peace knowing that we will have his continuing spiritual presence with us, interceding for the Church and for us all. There are so many comments, reflections, analyses buzzing around the airwaves and the internet that I thought I would distill a few of them here. First, the Holy Father had left some hints that he might step down in some of his past comments and actions. One of those was in an interview with the German writer Peter Seewald where the Holy Father said that it was possible for a pope to step down if he was no longer able to physically fulfill his duties. The Vatican alludes to that comment on its own website here. 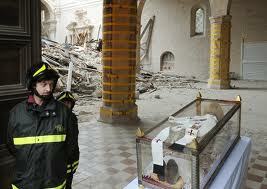 The pope also did something very interesting in 2009...he visited the tomb of Pope St. Celestine V in Aquila, Italy. Pope Celestine was an elderly pope who assumed his duties and then stepped down to resume a life of monastic prayer and simplicity. When Pope Benedict visited the tomb, he left his pallium there. The pallium that is the symbol of his authority as supreme pontiff. Many people thought this was a sign of the pope's closeness to his predecessor who had undergone a similar ordeal of leading the church at an advanced age. Professor Scott Hahn writes of this incident here. It also struck me that the Pope made his announcement on February 11th, the feast of Our Lady of Lourdes and the observance of the World Day of the Sick. I am sure that the love and motherly intercession of Our Lady is helping him through this difficult time. "We have heard you with a sense of astonishment, almost in disbelief. In your words, we have noticed the big affection that you have always had towards God's Holy Church, for this Church that you have always loved...in the name of your dear collaborators, we are closer, more than ever, just as we have been in these bright eight years of your pontificate." "The stars in the sky will continue to shine and your pontificate will always shine like them among us..."
God bless you, Papa Benedict. Thank you.